​Ernesto Valverde insisted that he was 'happy' with his side's performance on Saturday despite Barcelona being held to a 0-0 draw away to SD Huesca in La Liga. The champions went into the game 11 points clear at the top of the table against the league's bottom side, and Valverde opted to field a heavily rotated side which showed ten changes from the team which recently earned a 1-0 win in the Champions League over Manchester United. With the second leg looming next week, ​Barca were clearly more focused on seeing that job through in the quarter final as the Catalans were held in an uneventful draw on Saturday. 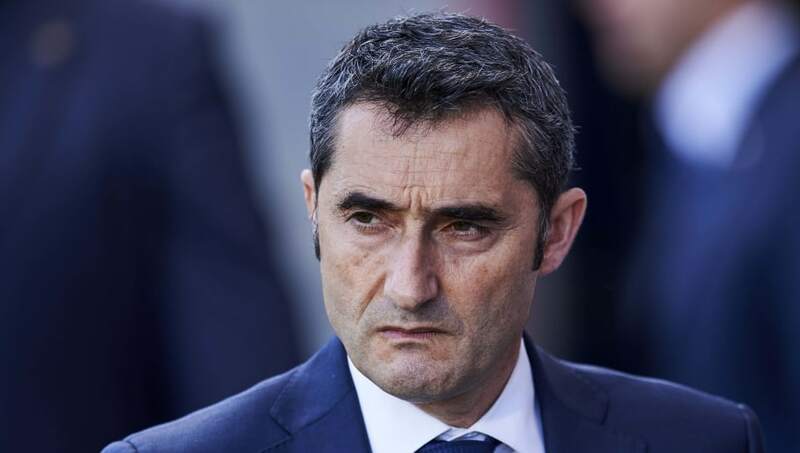 After the game, Valverde said via ​Goal: "We're happy because it was a difficult match for us. "A lot of new people came in, but they understood what they had to do. I did not want to play [Nelson] Semedo or [Jordi] Alba because they played the full game the other day. Sergi Roberto had muscle discomfort, too. "We were forced to play with Malcom on one wing and Wague on the other. It cost us a little at the beginning, but we're happy because the players went above and beyond, and we had our options. It was tough, but I thought that's what we needed to do. Saturday's draw saw the gap at the top of La Liga close to nine points after second-placed ​Atletico Madrid secured a 2-0 victory over Celta Vigo later the same day.  If they're good enough, they're old enough. However, Barca's immediate attention will now turn to the second leg of their Champions League quarter final as the Blaugrana prepare to welcome Ole Gunnar Solskjaer's side to Camp Nou, aiming to build on their 1-0 advantage from the first leg.